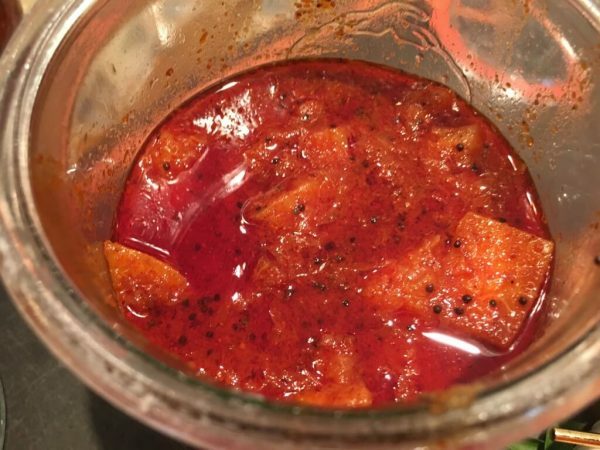 This is the basic lemon pickle recipe that is a staple in most Indian households. There are probably hundreds of variations of this preserve from the many regional cuisines in India. This one is a simple one made in Tamil Nadu. Goes excellent with the ubiquitous tambrahm cooler aka yogurt rice aka thayir saadam, upma, roti, etc. Versatile. Settles an uneasy stomach in its salted version. Just an amazing pickle. Take clean jars - preferably glass or ceramic. Metals and alloys may react with the acid, so stay away from them. Fill each jar to above the half line, leaving some space at the top so you can mix it everyday comfortably. Add a couple of handfuls of salt to each jar - roughly half cup. For the next 8-10 days, keep the jars in a sunny window if possible. 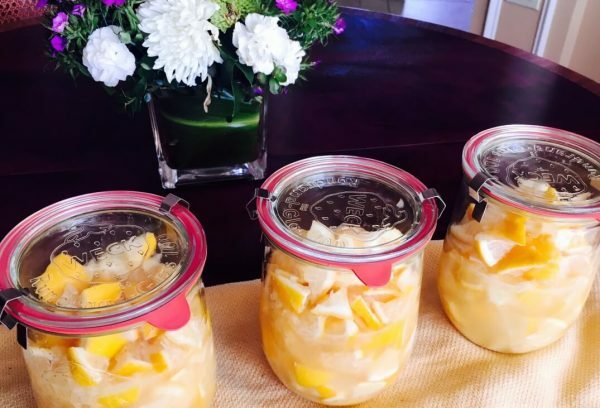 With a clean, dry wooden spoon, mix the lemon pieces from top to bottom every day. It is extremely important to use a dry spoon each time, and make sure not even a drop of water gets into the jars. 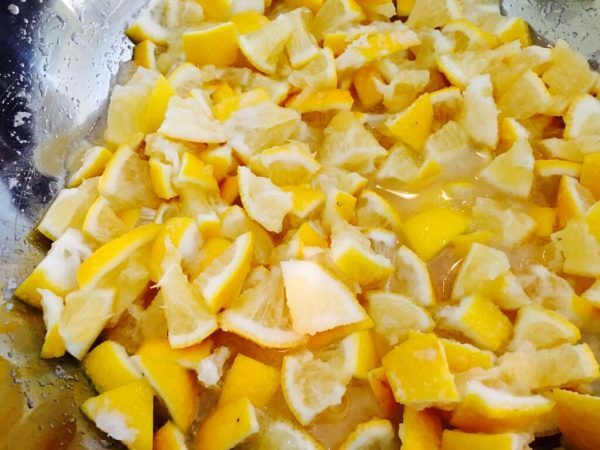 After about 10 days, the skin would soften quite a bit, and the salt would have drawn out all the juice from the lemons. 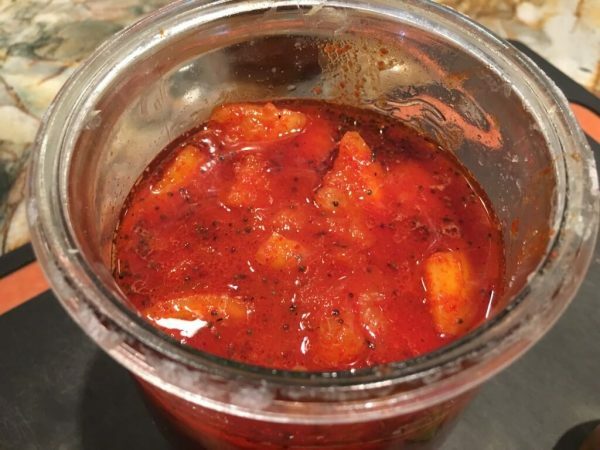 At this point, you can start using the salted pickle as it is without any seasoning or chili powder. But this recipe will take it a step further. 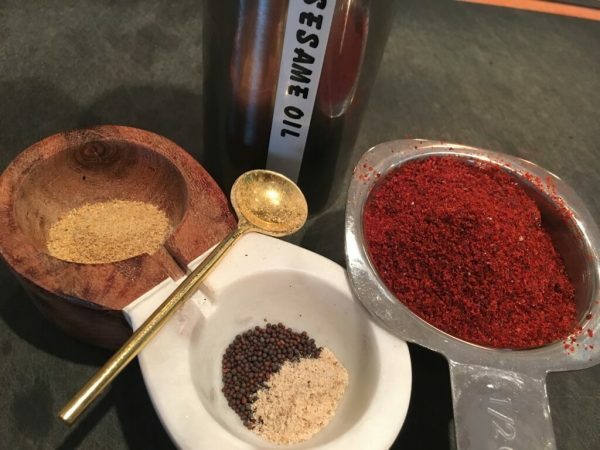 I tried the seasoning in 3 different ways. Method 2: Add the chili powder to the oil when hot, cool it and then pour it on the lemons. Add methi powder to the lemons finally and mix it. This was quite dark, and the least attractive looking, in my opinion. Taste is still good. Method 3: I saw this in a youtube video, and tried but this is my least favorite. 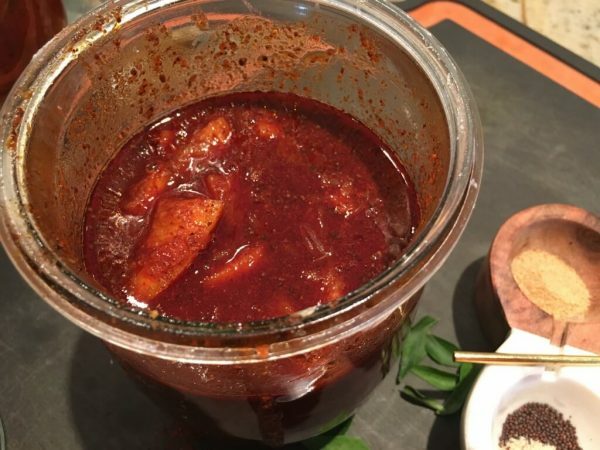 After adding the tempering/seasoning, turn the heat to low, add the chili powder, and the lemon pieces to the vaanali/kadai and mix it up on low heat. Turn the heat off, and add the methi powder. I hear this results in a slightly bitter taste, and also looked a bit dark but not as dark as method 2. I was always confused about the right way of seasoning so decided to try out all the variations this time. I think method 1 produced the best looking, and the best tasting pickle. It's also the simplest, and the winner in my opinion. Heat a kadai, and dry roast 1/2 cup of methi/fenugreek seeds, making sure not to burn it. Take off the heat when golden brown. Let cool, and make it into a fine powder. 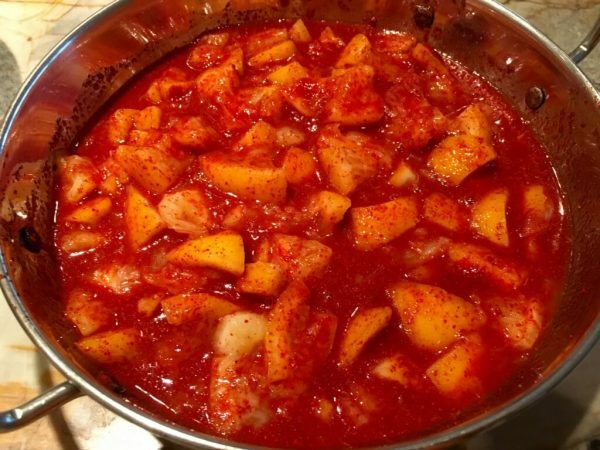 This powder is added to a number of pickles at the end - mango, tomato, etc. and I always keep this on hand.